» Dulquer Salmaan Plays Gemini Ganesan in Mahanati! As we all know that, Yevade Subramanyam fame Nag Aswin is making the Biopic of legendary actress Savitri. This film is titled as Mahanati and feature Keerthy Suresh as Savitri, while Samantha essaying the role of a journalist. This movie narrates life of actress Savitri and also showcases some original characters like NTR, ANR Gemini Ganesan, etc, many stars are doing cameos in this flick. The Telugu movie title was announced on March 8 to be Mahanati, and Dulquer will be joining the team on May 10 in Hyderabad according to reports. The Tamil movie title was announced today as Nadigaiyar Thilagam. To be directed by Nag Ashwin, this is one of the most awaited movie in both Telugu and Tamil. 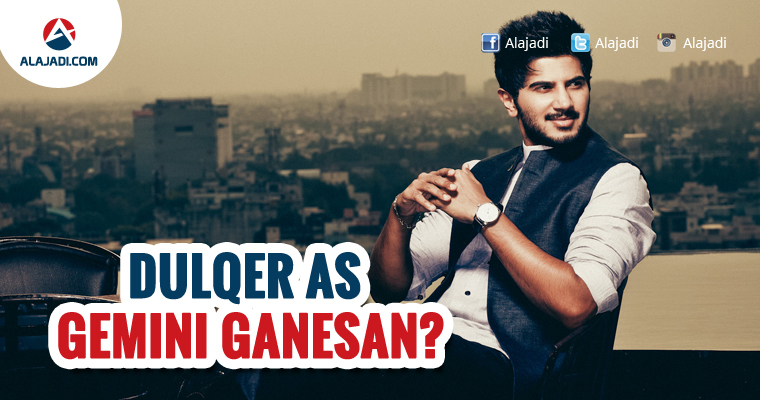 This will also mark Dulquer Salmaan’s debut in the Telugu film industry. The filmmakers are however, still in talks to finalise the remaining cast members to play the role of Jamuna, NTR and Akkineni Nageswara Rao. Speculations are also rife that Baahubali’s Devasena as Anushka Shetty, could be seen portraying the role of Jamuna in the film. It is jointly produced by Vyjayanthi Movies and Swapna Cinemas. Mickey J Meyer will be scoring the tunes for the movie, and he has already started working on it. It’ll be a magnum opus period film set in the golden era. With massive set pieces, the film will be unlike anything we’ve explored in Indian cinema. Born on January 4, 1936, Savitri made her acting debut in 1950 Telugu-Tamil drama Samsaram, and went on to star in several classics such as Devadasu, Missamma, Penin Perumai, Pasa Malar, Bhale Ramudu, Thodi Kodallu, Mayabazaar and Gundamma Katha. Besides donning the greasepaint, Savitri also direct ed a few films such as Chinnari Papalu, Chiranjeevi and Mathru Devatha. She was even a popular playback singer.